Barbara Wildenboer’s memorial on Main Road, Kalk Bay, pays tribute to Olive Schreiner’s efforts to achieve racial and sexual equality. During the first decades of the 20th century, Olive Schreiner spoke and wrote passionately in support of the Women's Enfranchisement League, which met in homes and halls throughout the city of Cape Town, including the English Church schoolroom that once stood on Main Road, Kalk Bay. 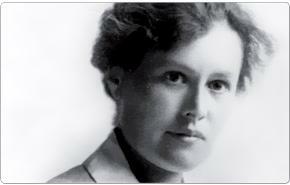 Though the author of the feminist classic Women and Labour - and the best-selling The Story of An African Farm - was a major force in the worldwide struggle for women's suffrage, by 1912 she had quit the League she helped establish because it refused to campaign for the vote for all women in South Africa. White South African women received the vote in 1930; black women, and men, had to wait until 1994. When The Story of an African Farm was first published, it was considered an extremely controversial text — so controversial that Schreiner initially published it under the male pseudonym, Ralph Irons. Scan the first reviews of The Story of an African Farm, which, surprisingly for the time, were mostly favourable. Olive Schreiner worked for many years with the Women’s Enfranchisement League, a body established to fight for the rights of (white) women to vote. Long after Schreiner’s death, white women were finally given the vote in South Africa. Celebrating the momentous news, the Women’s Enfranchisement League rushed out a copy of its journal, The Flashlight, under the headline "Victory". For her time, Olive Schreiner was a progressive woman, advocating the extension of rights to black South Africans. All her life Olive Schreiner advocated equality of the sexes and, in her defence of freedom, found herself at odds with the colonial government. Less known than her status as one of South Africa’s great writers is Olive Schreiner’s role as an early feminist. 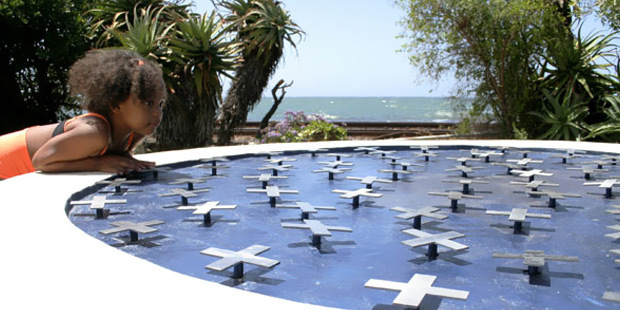 Barbara Wildenboer’s site-specific installations include Epitaph at the Darat al Funun, Amman, Jordan and the Bridge at the Spier Sculpture Biennale, Stellenbosch. "I wanted to capture Schreiner’s belief in the power of the vote and so decided on using voting crosses in the piece," Barbara Wildenboer says about her concept for the memorial. "If a race or class is willing to demonstrate and do and die for freedom they will ultimately be free"
In this lesson plan, learners are asked to find out about Olive Schreiner's attitudes, ideas and relationships from studying photographs, letters and pamphlets. Images from Olive Schreiner’s life. Take a closer look at the Heritage Project memorial to a lesser-known part of Olive Schreiner’s life.